Spouse benefit is 66 2/3% of the benefit you would receive under the employee and spouse pension. Effective immediately upon your death. Spouse benefit is 50% of the benefit you would receive under the employee and spouse pension. Not effective before the date you would be age 55. 50% of the total basic contributions paid on your behalf, maximum $10,000. 48 times the monthly benefit you would receive under the life only pension. 12 times your benefit under the life only pension. The difference between 48 times your life only pension minus the benefits you actually receive before your death. Click here to learn more about the recent coverage rules. 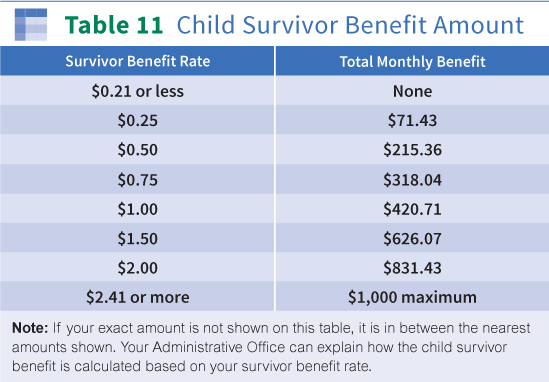 Click here for more information about the Plan's Survivor Benefits.